The Brattleboro Selectboard will declare the Police-Fire Facilities project complete at their next regular meeting, even though more work may be done using bond funds. The parking garage will get a wood pellet heating system, the library an upgrade to the air handling system, and an art project will become permanent. The big changes, though, are ordinance amendments merging the concept of taxi and vehicle for hire, and a discussion of changes to parking rates, rules, and safety. You can, as always, participate by attending. The Brattleboro Selectboard will meet on Tuesday, September 4, 2018, in the Selectboard Meeting Room at the Municipal Center. It is anticipated that the Board will enter into executive session at 5:45pm to discuss the negotiation of a real estate purchase or lease and the appointment of a public officer or employee. The Board will reconvene the regular business meeting at 6:15pm. ASL interpreters will be available for deaf and hard-of-hearing community members. The following will summarize the proposed motions for the Selectboard meeting on Tuesday, September 4, 2018. The Board will meet in executive session at 5:45pm to discuss the negotiation of a real estate purchase or lease and the appointment of a public officer or employee. The Board will reconvene the business meeting at 6:15pm in the Selectboard Meeting Room. A. Ordinance Amendments – Second Reading and Public Hearing (i) Chapter 11 (Licenses and Permits), Article IV (Taxicabs/Vehicles for Hire) re: Uber/Lyft (ii) Appendix C (Regulations Governing the Control of Traffic), Article I (Loading and Unloading Zones) and Article II (Parking) re: Flat Street near the Boys & Girls Club The Board is asked to hold second readings and public hearings on ordinance amendments to Chapter 11, Article IV, and Appendix C, Article I, and Article II. The Board held first readings on both amendment proposals at its meeting on August 21. POTENTIAL MOTION #1: TO APPROVE THE AMENDMENTS TO THE CODE OF ORDINANCES AT CHAPTER 11 (LICENSES AND PERMITS), ARTICLE IV (TAXICABS/ VEHICLES FOR HIRE), AS PRESENTED. POTENTIAL MOTION #2: TO APPROVE THE AMENDMENTS TO THE CODE OF ORDINANCES AT APPENDIX C (REGULATIONS GOVERNING THE CONTROL OF TRAFFIC), ARTICLE I (LOADING AND UNLOADING ZONES), AND ARTICLE II (PARKING), AS PRESENTED. The Board is asked to review information staff has gathered on several parking related topics the Board previously identified as subjects for further review. That information is set forth in a memorandum dated August 29, 2018, from Assistant Town Manager Patrick Moreland. SOME ACTION MAY BE TAKEN ON ONE OR MORE OF THE TOPICS. A. Public Art Proposal –“River Wall” by Elizabeth Billings, Evie Lovett, & Andrea Wasserman The Board is asked to approve allowing the temporary installation of “River Wall” at the Brattleboro Transportation Center to be replaced by a permanent installation of the same concept using more durable materials. This project is recommended by the Town Arts Committee and would be completed at no cost to the Town. The artists will be present at the September 4 Selectboard meeting to present their proposal and discuss this matter with the Board. 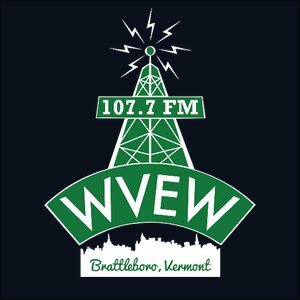 POTENTIAL MOTION: TO APPROVE THE PERMANENT INSTALLATION OF “RIVER WALL” AT THE BRATTLEBORO TRANSPORTATION CENTER, SUBJECT TO (1) THE FUTURE PRESENTATION OF AN AGREEMENT ACCEPTABLE TO THE SELECTBOARD UPON THE RECOMMENDATION OF THE TOWN MANAGER AND TOWN ATTORNEY AND (2) THE PROJECT BEING COMPLETED AT NO COST TO THE TOWN. B. Energy Saving Projects (i) Brattleboro Transportation Center (ii) Brooks Memorial Library The Board is asked to authorize the Town Manager to enter into contracts for several energy efficiency improvements at the Brattleboro Transportation Center and Brooks Memorial Library. The details of each project are set forth in a memorandum dated August 30, 2018, from Assistant Town Manager Patrick Moreland. The Transportation Center project is expected to be accomplished for less than the amount budgeted in the Parking Fund. The Library project will cost approximately $170,000 more than the budget for that work in the Town’s Capital Fund and the overage will be covered by an appropriation of Library funds that has been approved by the Library Board of Trustees. POTENTIAL MOTION: TO AWARD A CONSTRUCTION CONTRACT TO GPI CONSTRUCTION TO INSTALL A WOOD PELLET HEATING SYSTEM AND OTHER ENERGY SAVING MEASURES AT THE BRATTLEBORO TRANSPORTATION CENTER WITH A CONSTRUCTION MANAGEMENT FEE OF 7%, A GUARANTEED MAXIMUM PRICE FOR CONTRUCTION OF $174,747, AND AN OVERALL PROJECT COST OF $185,645 BEFORE THE WINDHAM WOOD HEAT REBATE. POTENTIAL MOTION: TO AWARD A CONSTRUCTION CONTRACT TO GPI CONSTRUCTION TO REPLACE THE AIR HANDLING SYSTEM AND COMPLETE OTHER ENERGY SAVING MEASURES AT BROOKS MEMORIAL LIBRARY WITH A CONSTRUCTION MANAGEMENT FEE OF 7%, A GUARANTEED MAXIMUM PRICE FOR CONSTRUCTION OF $315,275, AND A TOTAL PROJECT COST OF $348,917. The Board is asked to approve certificates of project completion to the Vermont Municipal Bond Bank for the Police-Fire Facilities Project. The purpose of these certificates, which have been requested by the Bond Bank, is to declare that the projects are substantially complete and that the buildings are being used for the purpose that was declared when the bonds were approved. The Bond Bank is aware that approximately $415,000 remains in the bond fund and that the Town will advise the Bond Bank of the final disposition of those funds after such final disposition is approved by Representative Town Meeting and implemented by the Selectboard and Town staff. POTENTIAL MOTION: TO APPROVE CERTIFICATES OF COMPLETION FOR 2013 SERIES 1 BONDS AND 2016 SERIES 1 BONDS ISSUED BY THE VERMONT MUNICIPAL BOND BANK. The annual Town Fair of the Vermont League of Cities and Towns (VLCT) includes both a variety of training sessions and the VLCT’s annual business meeting. Town Manager Elwell will be attending both the business meeting and the training sessions at the 2018 Town Fair. He requests that the Selectboard designate him as the Town’s official voting delegate for the business meeting. POTENTIAL MOTION: TO APPOINT TOWN MANAGER PETER ELWELL AS THE TOWN OF BRATTLEBORO’S VOTING DELEGATE AT THE VERMONT LEAGUE OF CITIES AND TOWNS’ ANNUAL BUSINESS MEETING ON OCTOBER 3, 2018. The Board is asked to announce vacancies on various Town boards and committees. Applications are being accepted for all vacant positions. It is anticipated that the Board will make appointments at its meeting on September 18. In the board’s notes to this meeting, it is pointed out that the parking garage painting and lighting improvements aren’t really be requested by anyone in particular. A consultant says to consider improvements, but the parking survey done shows just as many people saying it is fine as are saying it isn’t fine (as-is). It’s a bell curve of responses, with the majority/middle saying things are about average in terms of lighting, cleanliness, maintenance, and so on. Easy one to pass on, in my view, if one wanted to be frugal.